The Halco Hamma minnow lure is the new frontier of lure technology. It is a clear-bodied, controlled rise casting lure supploed with multiple easily changeable bibs of varying depths. It gives maximum flexibility in one easy package. Hamma is destined to nail its competition and turn the lure fishing world on its head. The Hamma was designed from the ground up, to tackle some of the world’s toughest and most iconic sportfish like Barramundi, Black Bass, Mangrove Jack, Tigerfish and Tarpon. 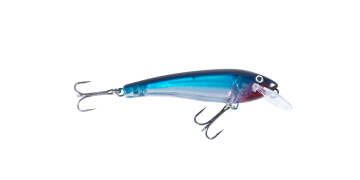 It has an incredibly realistic baitfish profile and also features a specially designed weight transfer system for great casting ability. The Hamma also has super sharp and strong Mustad trebles for maximum holding potential when using modern braided line technology, and Halco’s famous heavy duty fish rings. 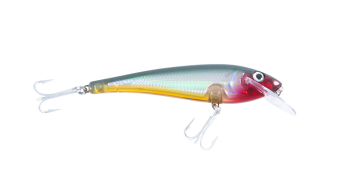 In the water the Hamma has a marvellously enticing, tight swimming action with a subtle phase shift mid-cycle that can be used to easily mimic a wounded baitfish.